Having a Kingdom Hearts Halloween? It’s spookily been a decade since the original Kingdom Hearts was released and every year, on Hallow’s Eve more and more fans get together to dress up as their favourite Kingdom Hearts characters to celebrate the occasion. We pay tribute to Halloween in Kingdom Hearts! The interview that we posted several weeks ago has finally surfaced online! The interview was actually from Dengeki rather than Famitsu that we reported it being on. Nomura in this interview revealed more information on Kingdom Hearts 1.5 HD ReMIX such as it’s development time as well as the total amount of time in cutscenes Kingdom Hearts 358/2 Days will have. Kingdom Hearts 3D Walkthrough Now Live! Earlier this year, Kingdom Hearts 3D was released on the Nintendo 3DS and has sold nearly 860,000 copies so far. If you’re one of the many still playing the game, uncovering every last secret, we’re now hosting a complete walkthrough guide that might help! Following up with his interview with Famitsu from last week, series director Tetsuya Nomura revealed some more information about Kingdom Hearts 1.5 HD ReMIX. Nomura mainly noted that the development of the title was decided before Final Fantasy X HD and it took two programmers from the Osaka Team about a year to program it in HD. 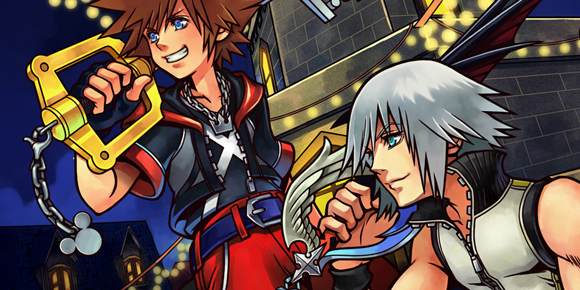 Kingdom Hearts 1.5 HD Remix is also in it’s final stages of development. The forty-sixth episode of Kingdom Hearts Union is here and the gang is back for another round but this time they’re bringing a special guest to help deal with the wave of news that was revealed at the Tokyo Game Show. Join Branden, myself, Jackie and our special guest SQEXGAL (aka Olivia) as we deep dive into the announcement of Kingdom Hearts 1.5 HD ReMIX and Kingdom Hearts for PC and the interesting facts that surround it.